residents of Iju-Ishaga area of Lagos State. here and when she comes, we will have some questions for her." 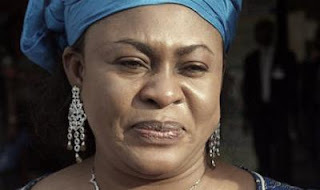 specific date was fixed for Oduah's appearance. The coroner said she was free to decide when to appear between May 20 and 24. Babatunde Irukera, AIB's counsel, asked the inquest to call Banjo to testify. Prof. John Obafunwa, the Chief Medical Examiner of Lagos State.